If you already subscribe to DAZN, you will have received much of this information in an email Thursday afternoon. If you’re considering subscribing or have been hesitant to do so, what you need to know is that the emerging streaming service has made some alterations to its subscription packages. Since its official launch in the United States with the Anthony Joshua-Alexander Povetkin fight September 22, DAZN has offered mostly boxing and MMA content for a monthly subscription cost of $9.99 per month. Starting Monday, DAZN will become available at two price points. A yearly subscription plan will cost $99.99, or slightly less, $8.33, than the current monthly subscription rate of $9.99. New subscribers also can continue paying on a month-to-month basis, but at twice the cost, $19.99, than the current $9.99 per month. DAZN’s plan understandably is to put pricing in place that’ll help build its base of sustained subscriptions. Unlike U.S. boxing competitors ESPN, FOX and Showtime, DAZN’s viewership figures aren’t known because DAZN doesn’t release its subscription figures. Its current model affords boxing fans and others opportunities to pay $9.99 or to use a one-time, free, 30-day trial, through which fans can watch a particular fight of interest. Then they can cancel before that trial expires or prior to paying another $9.99 for a subsequent one-month subscription. A change in pricing and strategy for monthly subscriptions seemed inevitable once DAZN began spending inordinate, unprecedented sums of money to lure top-tier boxing talent to its platform. Multiple sources have confirmed to BoxingScene.com that DAZN will pay approximately a combined $100 million to stream the Canelo Alvarez-Daniel Jacobs, Anthony Joshua-Jarrell Miller and Gennady Golovkin fights over less than a two-month period in May and June. 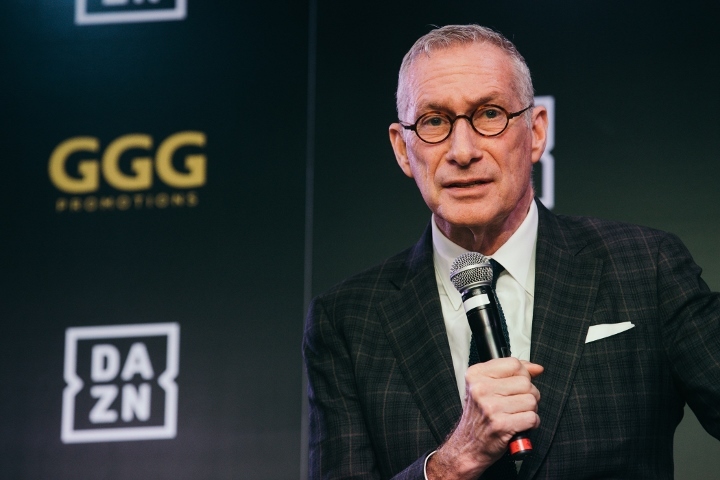 DAZN boss John Skipper also offered WBC heavyweight champion Deontay Wilder a four-fight deal recently that would’ve been worth $120 million. Wilder turned down that deal, which would’ve included a heavyweight title unification fight against Joshua and an immediate rematch. The Alabama-based knockout artist cited his loyalty to Showtime and Al Haymon’s Premier Boxing Champions among the reasons for not accepting that offer. Showtime will televise the May 18 bout between Wilder and mandatory challenger Dominic Breazeale from Barclays Center in Brooklyn. Meanwhile, current DAZN subscribers also will be afforded the option of continuing to pay $9.99 on a month-to-month basis until March 2020. The plan and pricing changes coincide with the launch of DAZN’s new Major League Baseball show, “Changeup.” That show – basically baseball’s equivalent to NFL’s “Red Zone” – will cost DAZN a reported $100 million per season over the course of a three-year contract. Markowski understands that these pricing and subscription changes will invite criticism, but he reminded subscribers and potential subscribers that DAZN still offers boxing fans and fans of other sports value for their money.